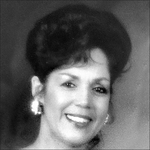 Obituary for Juanita Ellis Thorpe | McGuire Funeral Service, Inc.
Juanita Ellis Thorpe, 77, was a native Washingtonian. She retired from USAID as an Executive Assistant. She is survived by her beloved daughter, Wendy; her granddaughter, Erica; four nephews; and 10 great-nieces and nephews.